Sweet, Spicy, Garlicky goodness this Sweet Chili Garlic Honey Chicken is sure to please when you have those Chinese takeout cravings minus the guilt. I found a recipe for Garlic Honey Chicken on Pinterest about two years ago and finally decided to give it a try but with a few twists. 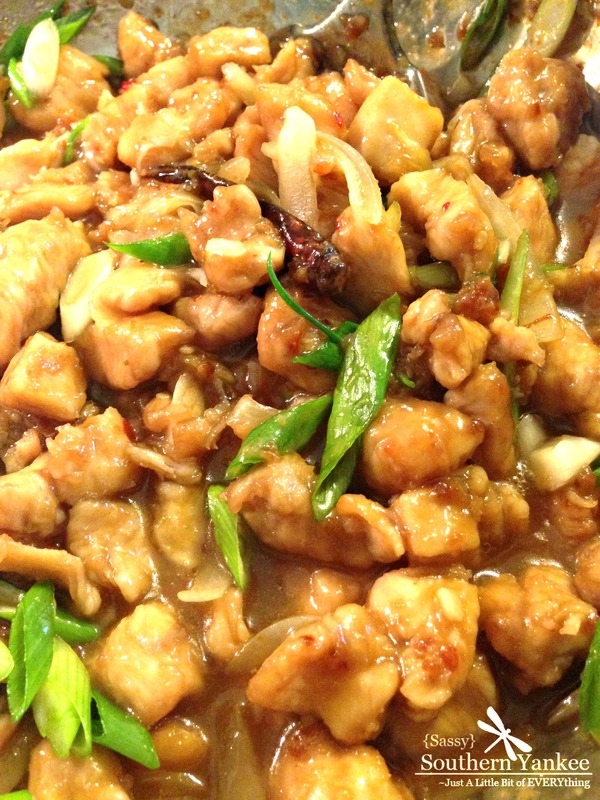 This is a cross between Ku Pow chicken and Honey Chicken “pump up the volume, pump up the volume, dance, dance, dance!“. Yeah it’s that good! If your too young to know that song quote I apologize just chalk it off as I’m old LOL. 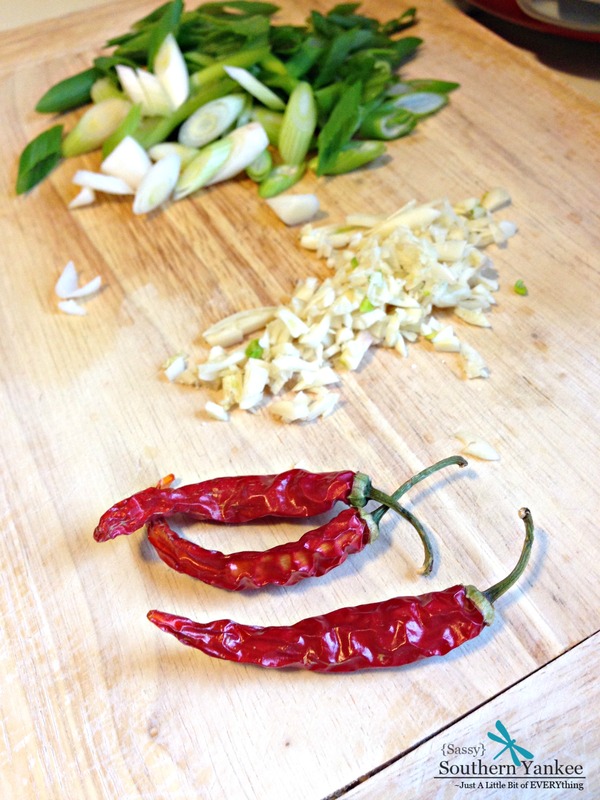 If you’re not a fan of heat you can always omit or reduce the chili’s or the Garlic Chili Sauce to taste. In a medium bowl add the diced chicken, 2 Tablespoons soy sauce and cornstarch; combine until the chicken is evenly coated. Prep the garlic, onion and scallions and set aside. If you are making rice or cauliflower rice now would be a great time to get that started. P.s. I love my rice maker! If you don’t have one you should get one. Heat the wok or large skillet over medium heat; add the oil to the pan and heat until a drop of water dances in the pan. Add the 3 chili’s to the oil and cook for 30 seconds until the oil is seasoned. Then add the chicken to pan and let it cook undisturbed for one minuet to allow it brown. Stir-fry the chicken until the chicken is cooked through. Add the onions and garlic; sauté them for about two minuets. To make the sauce add the remaining Soy Sauce, Chili Garlic Sauce, Honey, water; cook for about 3 minutes until the sauce has thickened. Remove from the heat then toss in the scallions. Serve the Sweet Chili Garlic Honey Chicken with a side of rice or cauliflower rice. Sweet, Spicy, Garlicky goodness this Sweet Chili Garlic Honey Chicken is sure to please those Chinese takeout cravings minus the guilt. Prep the garlic, onion and scallions and set aside. If you are making rice or cauliflower rice now would be a great time to get that started. P.s. I love my rice maker! If you don't have one you should get one. Heat the wok or large skillet over medium heat; add the oil to the pan and heat until a drop of water dances in the pan. Add the 3 chili's to the oil and cook for 30 seconds until the oil is seasoned. Then add the chicken to pan and let it cook undisturbed for one minuet to allow it brown. Stir-fry the chicken until the chicken is cooked through. 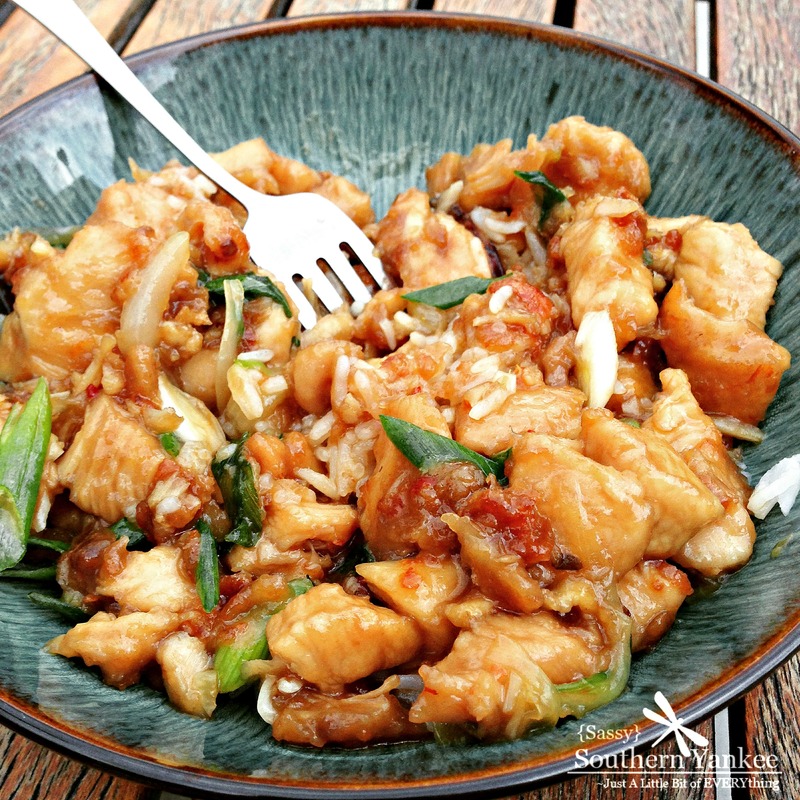 This entry was posted in Main Course and tagged 30 Min Meals, Chinese, Clean Eating, Easy Dinners, Gluten Free, Stir-Fry.